!!!! DISCOUNT 30%!!!!!! - fantastic opportunity, three games for the price of two! Help Mac D. to take his food avoiding bugs. Mac D., a cute little devil, is always in search of food. But, to be able to eat he will face many trials that will lead him to travel in different scenarios. 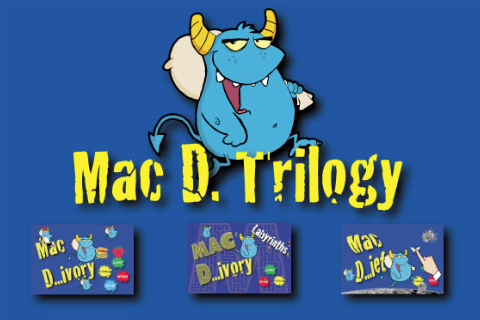 Mac D. is the first episode of an exciting and funny trilogy, in the three game modes. 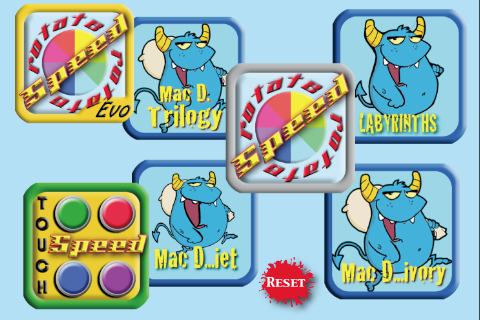 - Mac D...ivory: touch control of the character; - Mac D...edalo Labyrinths: control character with the iPhone movement; - Mac D... iet: destruction of opponents with touch. 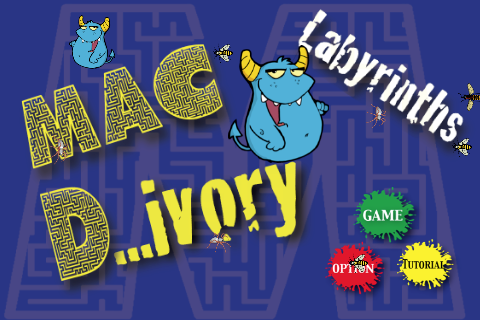 Help Mac D. to find his way trough the maze and to eat the sandwich Mac D...edalo Labyrinths, is the second episode of the greedy little imp. 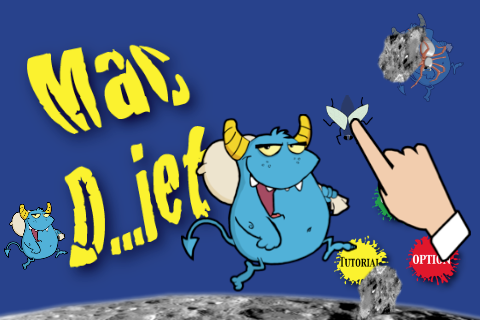 After trying the tutorial to find the right sensitivity of the iPhone, jump into the ral thing. Help Mac D. to disentagle the maze in order to eat his sandwich as quickly as possible. There are four mazes, as much as the letters in his name. Beware... do not bring him closer to insect that shorten life, if you’re in troble..., search for “HELP” that will show you the way for a few second. 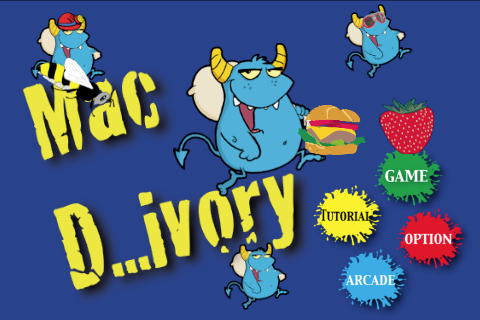 Mac D...iet, is the last episode of the trilogy Mac D.
Our little devil is now faced with an always increasing number of enemies, with the aim of increasing its voracity until it explodes. Help Mac D: With your finger, stop the opponents that, as the seconds go on, continue to increase. The aim is to resist as long as possible; the sum of the seconds of the various levels will lead you to a total time that you can compare with your friends. Be careful... in addition to insects you will find other difficulties. Then you will hav to use all the aid available.